STRUGGLING householders hit with double-digit power price rises will be slugged for almost $2 billion for electricity network expansions that never went ahead. While state-owned energy company Energex “saved” more than $1.8 billion on project spending in the past five years, industry experts say consumers will ultimately pick up the tab under the national electricity rules that allows energy companies to retain any unused revenue. Electricity users are forced to pay for improvements to network that are planned, then not carried out. Energex’s latest bid to the Australian Energy Regulator shows $4.42 billion of the $6.24 billion in spending Energex had approval for in 2010-15 was actually spent. The unspent revenue will eventually benefit power users by curbing growth in the value of the network in future years. But it means those same households footed the bill for unneeded upgrades, or planned “gold-plating” of the network – at a time when disconnections for the non-payment of bills soared. Energy companies’ revenues were last locked-in by the regulator in 2010 and factor in a return on capital spending needs. But falling energy demand and a pledge by the Newman Government to end so-called “gold-plating” led to some projects being scrapped. 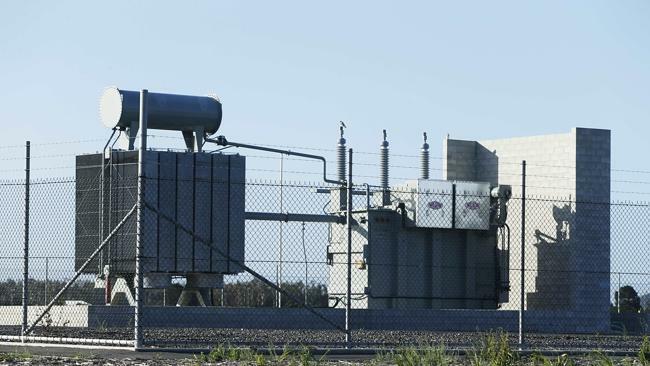 Energex posted a $500 million profit in 2013-14, paying $406 million to the State Government. But Energy Networks Association chief executive John Bradley said the rules were designed to prevent overspending by giving incentives to stop unnecessary works. The burden of past spending has raised questions about the prospect of energy network asset writedowns. Analysis by energy economist Bruce Mountain shows a large spike in the valuation of the state’s poles and wires since 2002, which will continue to sting householders down the track. He said the network value per customer statewide soared from $3400 in 2002 to $9400 in 2013. The rise was a product of rules encouraging state owners to expand energy assets to boost return, or at least not take a strict view of expansion plans, Mr Mountain said. “Ultimately, asset valuation is a decision for the owner and if they chose to they could write the asset down and instruct the regulator accordingly,” he said. Energy Minister Mark McArdle said the asset base was a matter for the regulator, and that “significant debt, borrowing and finance costs, were locked into the cost of supply by the former government”. Energex said it had proposed below-inflation price rises for the next five years. Removing the solar bonus scheme will put "downward pressure" on power bills while making state assets "more attractive" to lease. 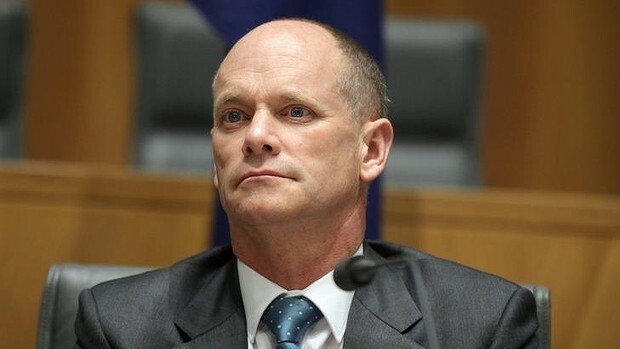 Campbell Newman said the former Labor government's solar power bonus scheme was a bigger bungle than the infamous health payroll fiasco. The Premier announced on Sunday that $3.4 billion from asset leases would be quarantined to reduce average household power bills by $577 over five years. The deal was dependent on the LNP's re-election in 2015, and would be achieved by restructuring bills so that the government paid the 44 cent per kilowatt hour solar feed-in tariff currently passed on to customers by the energy companies. No new solar power users are able access the scheme, which expires in 2028. Treasurer Tim Nicholls said the $3.4 billion was the estimated amount required to see it out. "This is not a short term sugar hit, this is a structural change to the base of electricity prices in Queensland that will mean we are able to offer cost of living relief and relief to small businesses throughout the state." Asset leases are expected to earn the state $37 billion. $25 billion will be set aside to pay down debt and $8.6 billion will be invested into job-creating infrastructure, leaving $3.4 billion for power bills. Mr Newman said this was three times more than the $1.25 billion it would ultimately cost taxpayers to fix the health payroll system, which floundered on implementation in 2010. "I think the feed-in tariff was a bigger public policy debacle that has cost people," he said. "If government doesn't spend your money wisely, you actually pay, so debt that's accumulated by the former Labor government really hurts us in our daily lives." Opposition leader Annastasia Palaszczuk said the 44 cent feed in solar tariff had a purpose. "Labor was always looking at diversification and encouraging people to have other options, including solar," she said. "There are a lot of people out there, a lot of mums and dads, a lot of people right across the state that have actually adopted solar panels." Ms Palaszczuk described the power bills price cut plan as another distraction. "Campbell Newman, before the last election, promised to lower everyone's electricity bills by $120 a year without selling our assets," she said. "Now we know this government is determined to sell our assets, which will mean higher electricity prices and job losses." Mr Newman said it was important to remind Queenslanders that patience was required. "You can't have 20 years of mismanagement, the accumulation of debt, massive deficits, poor public policy in the electricity sector and just eliminate it straight away," he said. "The things that we're doing are unravelling these problems that have been built in to the whole system of government in Queensland." The Newman Government has dropped an electricity bombshell, revealing it's prepared to put the state's power poles and wires into private hands for 50 years or more. MORE than 500 Queensland households are having their power cut off each week because they cannot pay their electricity bills. Latest figures from industry watchdog, the Queensland Competition Authority, reveal 26,257 residential customers were disconnected for non-payment in the year to June. That is a 36 per cent jump on the previous year and is the highest level since the QCA began publishing figures five years ago. Disconnections for small businesses were 15 per cent higher than in 2012-2013 at 2294. Nearly one in five of the residential consumers cut off was a pensioner or concession cardholder. Queensland Council of Social Service's essential services manager Carly Allen said the impacts were far-ranging. "For households who are already vulnerable or at risk, being disconnected from electricity can ... have a devastating flow-on effect,'' she said.